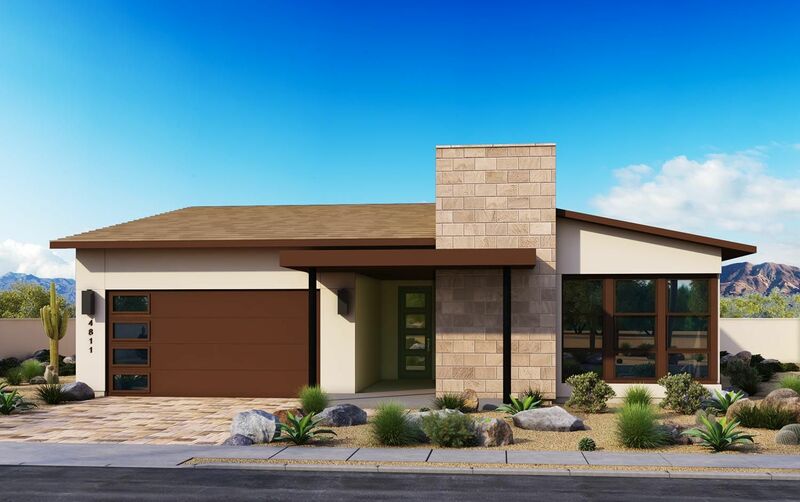 The 76 homesites included in the first-phase release of the Ranger collection are all about taking advantage of Avance’s special relationship with the Downtown Phoenix skyline. The collection of 60' x 120' homesites are not only uniquely positioned to maximize city views, they’re also conveniently located near a neighborhood park equipped with a viewfinder for taking a closer look into the great beyond. A cozy fireplace overlooking Downtown Phoenix will keep you warm on a chilly night of star-gazing and hooks for hammocks provide you with the perfect place to nestle in as you admire the twinkling lights of the city. Four single- and two-story, modern floor plan designs range from approximately 2,391 to 3,635 square feet. Just a few of the features in the Ranger collection are 36? upper kitchen cabinets, gas appliances and a kitchen-based USB port that creates a convenient docking station for charging personal electronics. All homes are LEED® and EnergyStar® certified, and include energy-efficient tankless hot water heaters. Maracay’s LivingSmart® program and the EPA’s Indoor airPlus® program add an extra layer of high performance and cost efficiency.